The Moto Z DROID and Moto Z Force DROID are now available in-store from Verizon and can also be purchased directly from Motorola or at a substantial discount through Best Buy. In other words, today is Moto Z launch day. At Verizon, the Moto Z starts at $26 per month with a device payment plan or $624 at full retail for the 32GB model. The Moto Z Force is slightly more expensive at $30 per month with a device payment plan or $720 at full retail for the 32GB model. Verizon is selling both phones in two colors, one that is mostly all black with some metallic shine, or the other which has a white front and all-gold back. If you want 64GB storage, you’ll have to take your talents over to Motorola’s site. 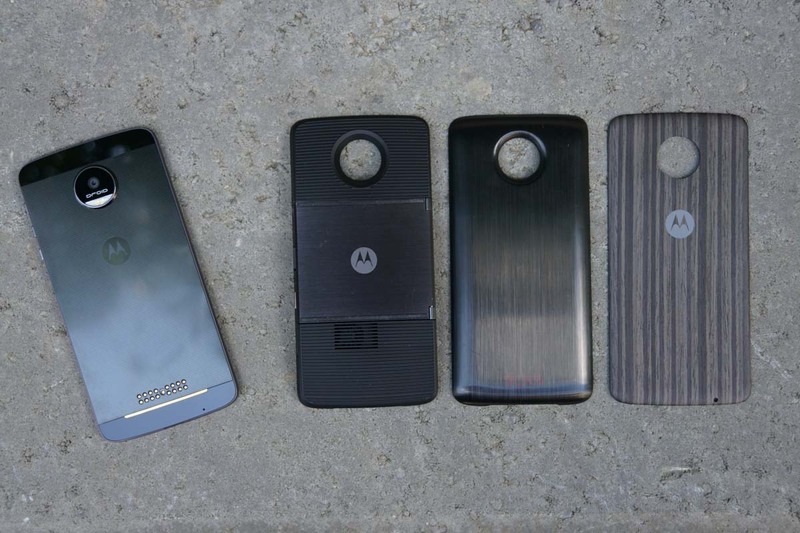 At Motorola’s site, you get the Moto Maker experience, which allows you to not only choose from a couple of color options (black and rose gold is listed, but not available yet), but easily bump up the storage and add on Moto Mods. But in reality, you should be hunting for the best deal and Best Buy still has that. For $1 and a 2-year contract, Best Buy will sell you the Moto Z. For $99 and a 2-year contract, they’ll sell you the Moto Z Force. We’re talking about $200 savings here. Oh and not only that, but they are tossing in a free $80 JBL SoundBoost speaker Mod as well. To decide whether or not either phone is for you, be sure to read out reviews here and here.